CAFFISSIMO is giving Perth access to some of the best coffee in the world: and its roasted right here in Perth. In the largest coffee roasting competition in the world, Caffissimo have placed in the top 10 for the past three years, showing it can compete with the most elite European coffee houses. And if you don’t drink coffee, Caffissimo also imports premium quality teas. 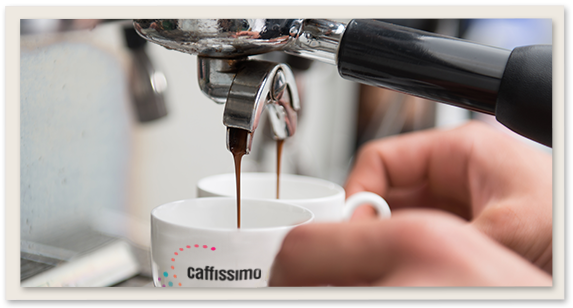 Caffissimo’s success has been fuelled by a company culture focused on providing quality products within an environment of superior service. The blends that Caffissimo have developed are unique to Caffissimo and can only be experienced at or purchased from their cafes. If you’re interested in joining the Caffissimo franchise, Caffissimo have sites available for franchisees. For upcoming Caffissimo opportunities please call 9287 2200. Caffissimo is proudly WA owned and operated. At Caffissimo, we understand the importance of great coffee - our excellent reputation depends on it! Using 100% premium quality Arabica beans, we take great care in all stages of the roasting process from evaluation of the green beans, to the roasting of beans through to cupping the final product. Caffissimo's coffee blend is of the highest quality, roasted and delivered fresh to our cafes daily. Looking for a morning kickstart, an escape from the daily grind, or an excuse to catch up with friends? Caffissimo offers superb coffee, the finest selection of teas, gourmet meals and tasty treats across the Perth metro area. Enjoy the ambience of our unique cafe environments, with many convenient locations, come in and experience the 'freshness and taste' that have become Caffissimo's trademark. Caffissimo are committed to delivering our customers a broad range of the highest quality products teamed with superior customer service in a contemporary cafe atmosphere.